We wrote about this project time ago. Now it evolved and we won’t miss the news. The Dragonfly Telephoto Array belongs to the University of Toronto’s Dunlap Institute for Astronomy and Astrophysics. The ten EF 400mm f/2.8L IS II make up for approximately $100,000. The lenses were mounted on ten SBIG STF-8300M CCD cameras, and that makes up for another whooping $20,000. There is also a Paramount ME-II robotic telescope involved, which is yours for just $135,000. Dragonfly is designed to reveal the faint structure [of the universe] by greatly reducing scattered light and internal reflections within its optics. It achieves this using ten, commercially available Canon 400mm lenses with unprecedented nano-fabricated coatings with sub-wavelength structure on optical glasses. 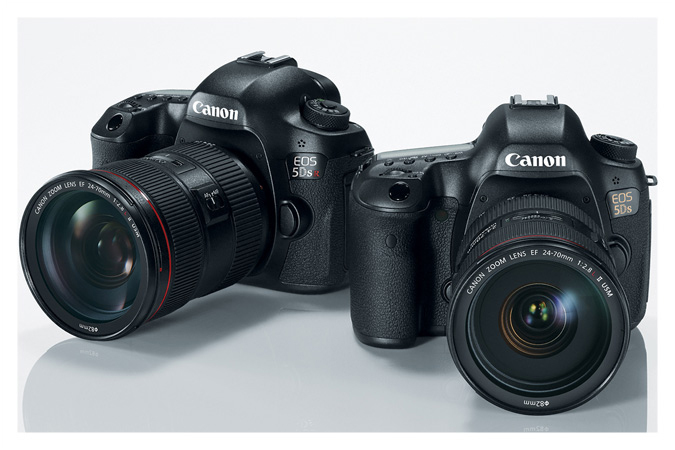 Canon DLC article about the differences between the EOS 5D Mark III and Canon’s new, 50MP EOS 5Ds and EOS 5Ds R. This is for all those that are thinking about switching from the EOS 5D Mark III to the EOS 5DS/5DS R.
Current EOS 5D Mark III shooters, who may be considering moving to the new high-resolution EOS 5DS (or the EOS 5DS R, which removes the effect of low-pass filtration), may wonder if anything changed on these new cameras because the new models look practically identical to the proven Mark III camera. Rest assured, there are some new rewards waiting to greet 5D Mark III owners who step up to the new cameras. More about the EOS 5DS and 5DS R after the break. Neat little video by CanonUSA on Youtube. Learn all you have to know about 4k. Real 4K technology goes far beyond the label. Canon 4K optics are born from decades of research and design, creating brilliant, vivid, rich images. And it all begins with the lens. EOS 5DS and 5DS R previews and hands-on: Canon Japan’s EOS 5DS image and video samples and EOS 5DS R image samples. EOS 5DS and 5DS R preview at Photography Blog, hands-on and sample pics at ephotozine, preview at DPReview, CPN Europe Article, The Digital Picture. 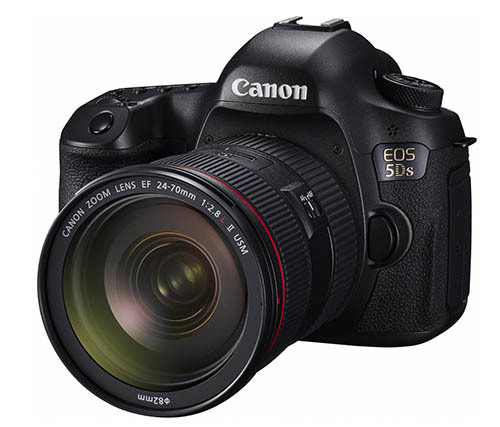 A tip about which lenses are best for the EOS 5DS at The Phoblographer. A more technical and in-depth article by CPN. First impression from the videographer’s point of view at EOSHD. Fotosidan interview with Mike Burnhill at CPS, Canon Europe to talk about the upcoming, high resolution Canon Eos 5Ds and 5Ds R (12min video). Hands-on video in Italian. Hands-on video in German. Pre-orders. Note: pre-orders are not yet open. Sign up to be notified when Adorama starts accepting pre-orders, or check the links below to subscribe to the notification.